↑ Ahmet Katav; Bilgay Duman (November 2012). 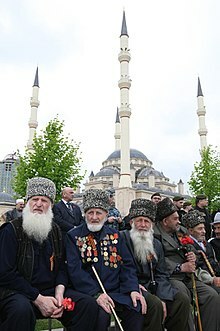 "Iraqi Circassians (Chechens, Dagestanis, Adyghes)". ORSAM Reports (134). http://www.orsam.org.tr/en/enUploads/Article/Files/20121116_134ingtum.pdf۔ اخذ کردہ بتاریخ 15 April 2013.